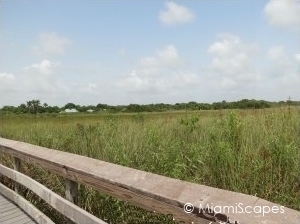 The Anhinga Trail is probably one of the most popular and frequented at Everglades National Park and with good reason: it is easy to get to, it is home to tons of wildlife, the boardwalks and pathways that traverse the area get you close to the action and you can enjoy the many landscapes surrounding this spot. 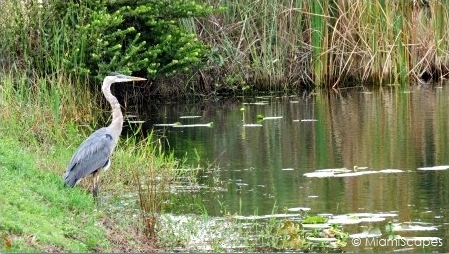 This is easily one of our top picks, if you only have time for one trail, the Anhinga Trail is a great choice. 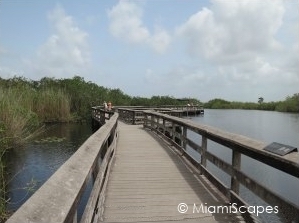 The trail begins by the Royal Palm Visitor Center, it is a short trail but in all its compactness it manages to deliver an unbelievable display and variety of ecosystems as you go on the paved paths and elevated boardwalks that traverse the terrain. 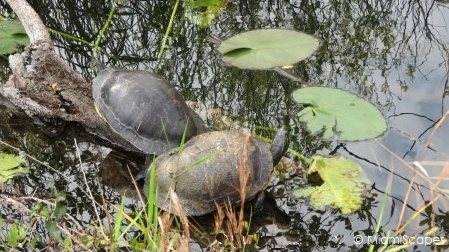 Best times for wildlife viewing is in the dry season in the winter and early spring. 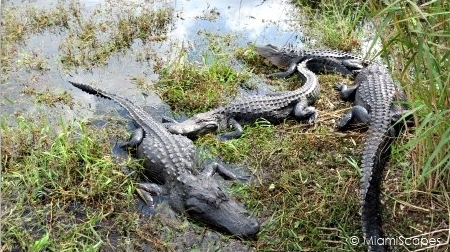 Royal Palm is open year-round, and even during the summer we have been able to see alligators, maybe not in large numbers, but we have always seen a few. If I only had time to do one trail, this would be my pick on this side of the park. 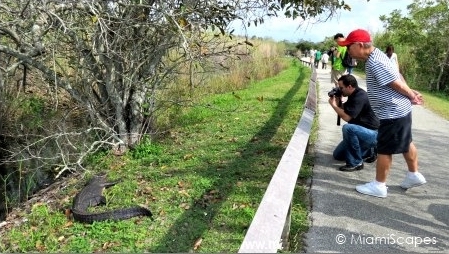 How much time does it take to "do" the Anhinga Trail? As long as you want to make it. 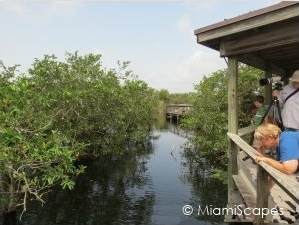 You can go through the boardwalks in about an hour, but this is really a great place to come and spend some time. You never know what you will encounter. Just sit by one of the many shaded outposts and wait. You will see more this way. Patience pays. 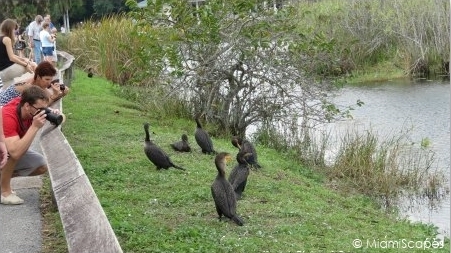 Check out some more pictures of the Anhinga Trail here. Where? 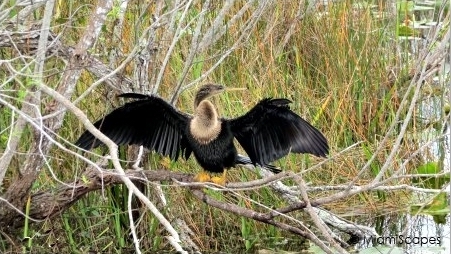 : The Anhinga Trail is located at the Royal Palm Visitor Center just a couple of miles down the main Visitor Center of Everglades National Park. 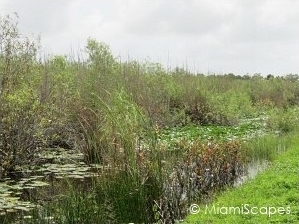 See the Florida Everglades Map here.